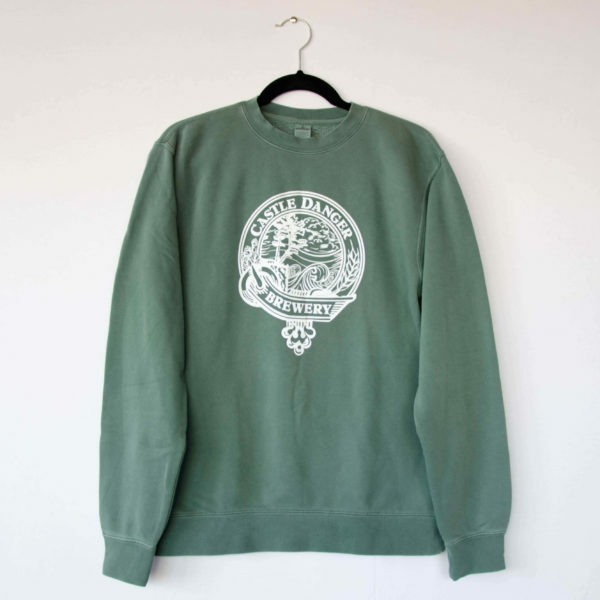 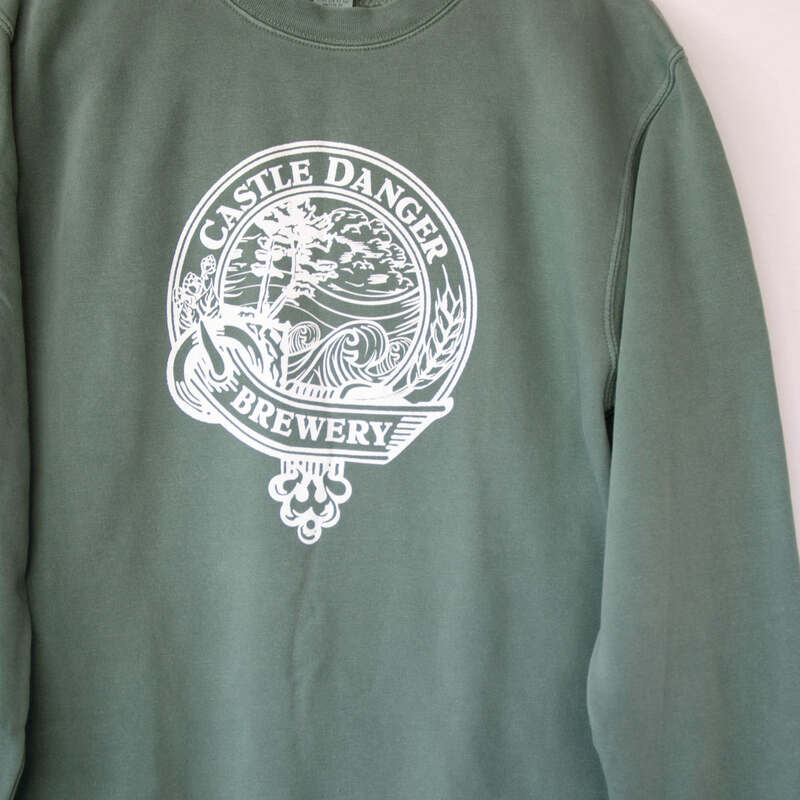 Introducing our ultra-comfy Green Crew Sweatshirt. 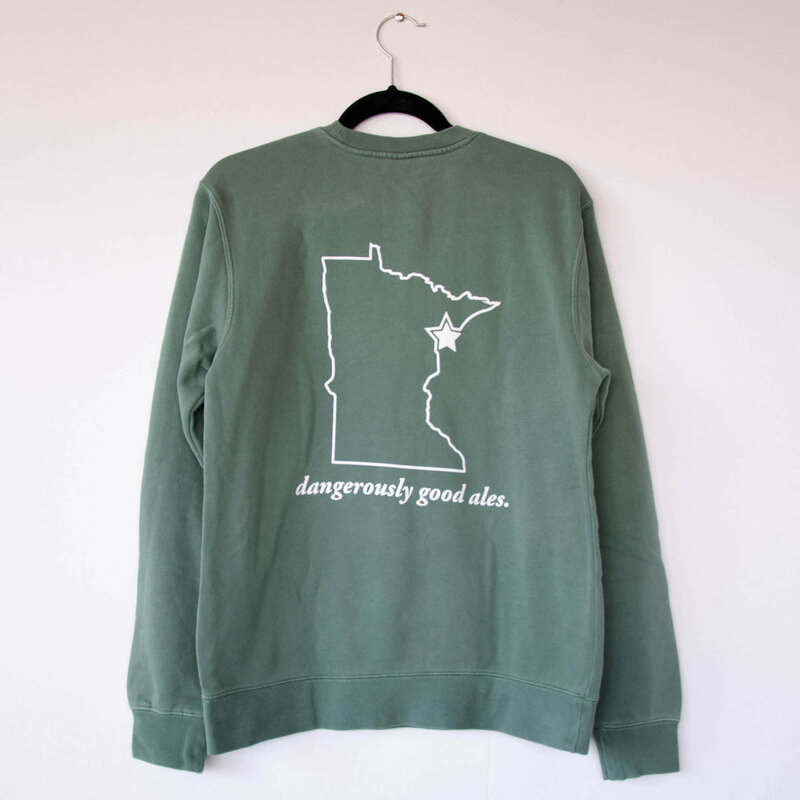 This vintage washed, garment dyed fleece sweatshirt feels as good as it looks and is the perfect layer going into a Minnesota winter. 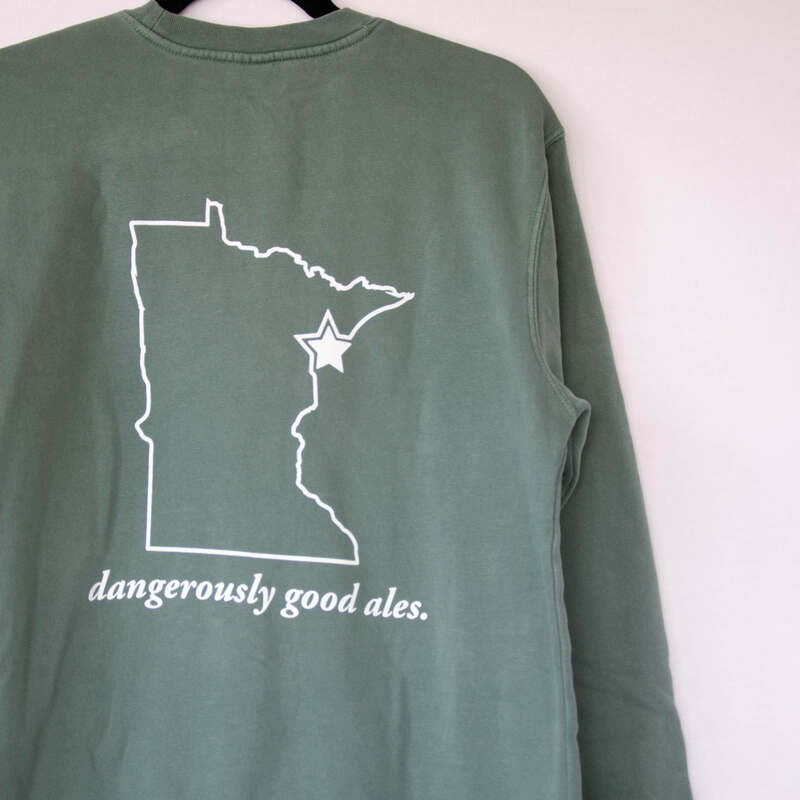 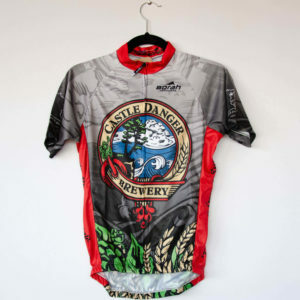 Featuring a large crest logo on the front with our Minnesota state graphic on the back.